The Sinus now has a sister….. the Sinus FLEX, a model with removable wingtips. The Sinus Flex model is identical to the standard Sinus, with the added bonus of interchangeable wing-tips. The outer 5-foot portions of each wing can be easily removed so the aircraft can fit into a standard hanger or you can replace the long wingtips with the short wingtips of a Virus model ! Now that’s smart, 2 aircraft in one. You can’t decide if you want a Pipistrel Sinus or a Pipistrel Virus? Now you can have both, a thermal-soaring Sinus motorglider which you can quickly and easily (in about 5 minutes) transform into a small and fast Virus cruiser, which can fit into almost any hangar! A standard wrench is all you need to transform your Sinus into a Virus and back: the tips slide easily into the wing and back out and all it takes to secure them are about 10 turns with the wrench. While you are enjoying your flying with one of the models, the wingtips for the other one are resting securely in the made-to-fit leather bags which protect them for getting scratched or dirty. 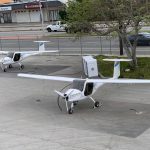 The Sinus motorglider is a strutless 49′ 1½” wing span motorglider, powered by the 80hp Rotax 912 4-stroke engine and available as a ready-to-fly LSA aircraft or as a kit in either the LSA or experimental categories. The Sinus is equipped with positive and negative flaperons, airbrakes and tail wheel (optional nosewheel). 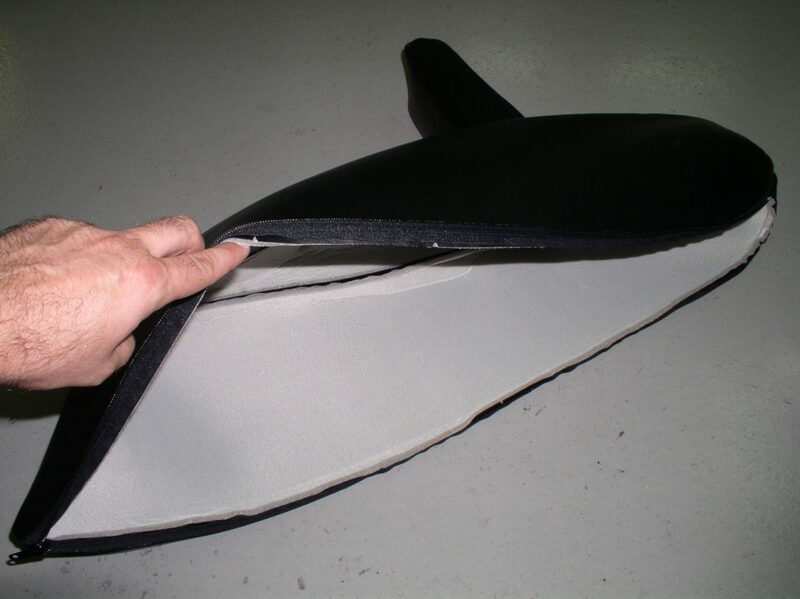 It is manufactured from hi-tech epoxy resin, fibreglass, carbon and kevlar composites. 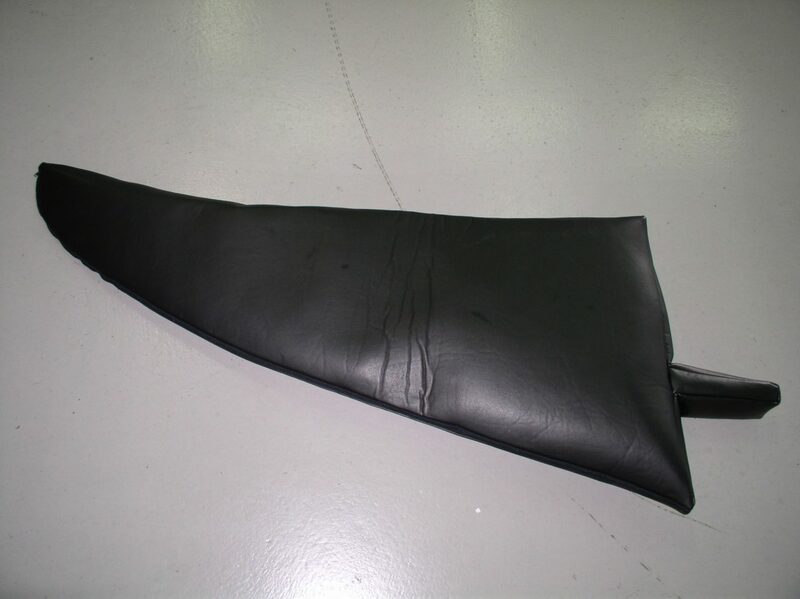 The airfoil used on the wings is IMD 029-b (Orlando, Venuti). The cabin is properly insulated from noise and very comfortable for even those long flights. 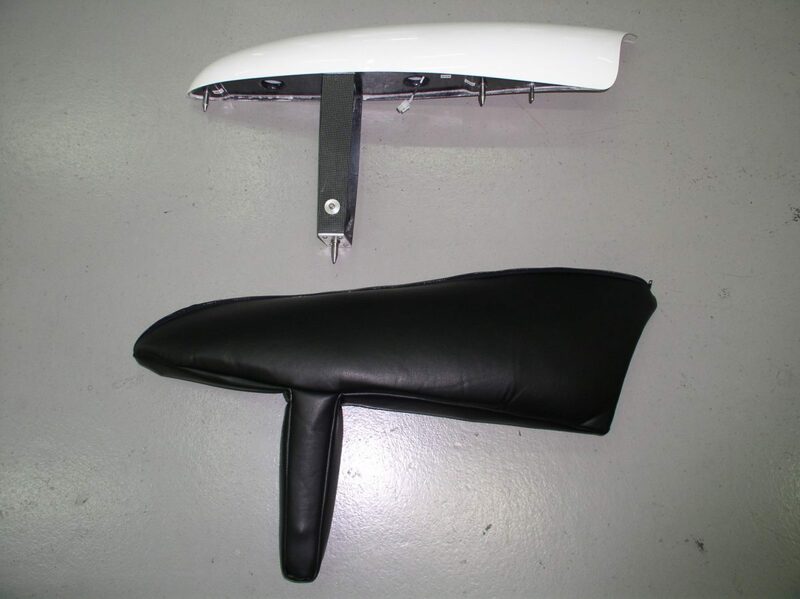 The seats are ergonomic with an adjustable head rest. Both the pilot and passenger pedals have differential toe brakes fitted. The pedals are adjustable forward and aft in flight and are manufactured from stainless steel. All controls are easy to use and reach from both seats and dual pedals and sticks mean the aircraft can be flown from either seat. The wing tanks have the fuel cap on top, as well as a visual check within the cockpit for the fuel level. The standard capacity is 16 gallons with a long range option increasing the capacity to around 26 gallons. The main landing gear is aerodynamically profiled and made of composite materials. The main wheels have strong hydraulic disk brakes and the tail wheel or nosewheel option is directly controlled by the pedals. The airbrakes on top of the wing allow landing the Sinus in very short distances over high obstacles. 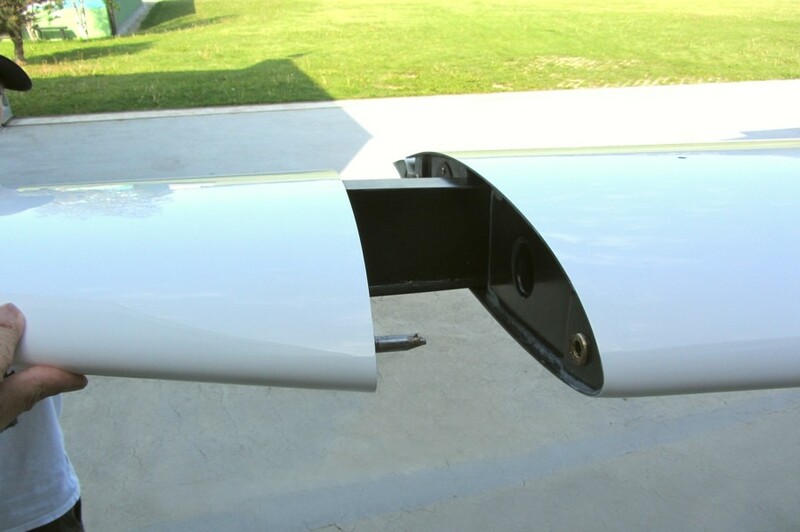 The Sinus assembly is very simple, just like conventional gliders, and the wing control connections are automatically locked on connection of the wings. It takes most owners about 20 minutes to rig or de-rig the aircraft. 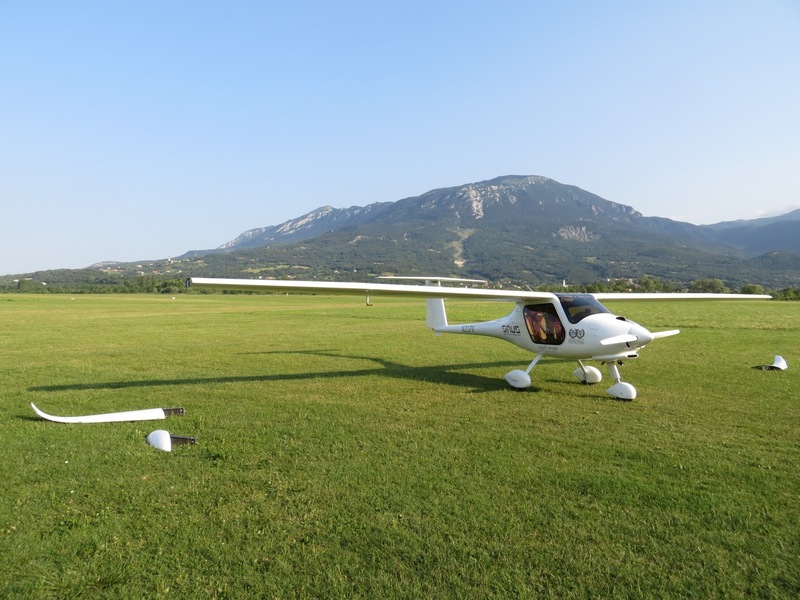 The Sinus 912 is our most popular aircraft and It uses the legendary 80 hp Rotax 912, 4 cylinder 4-stroke engine (now with a 2000 TBO) which allows the Sinus to become a ‘super sophisticated’ motorglider just like the ‘real ones’ but at a 1/3 of the price. If you want to spoil yourself and your passenger, the Rotax 912 is the engine of choice for the vast distances we travel in the USA. NOTE: Pipistrel reserves the right to revise this specification sheet whenever occasioned by product improvement, government authority, regulations or any other good cause. What is the width of the cabin? 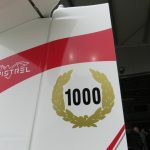 What is the weight / fuel consumption penalty for the nose wheel version? The nose wheel version adds16 lbs in empty weight and increases the fuel flow by 0.4 gph at cruise speed. Is there a parking brake? The parking brake is available as an option together with Berringer high performance tyres and wheel brakes. What is the typical baggage allowance? Baggage safely fits in the solid luggage compartment behind the seats, which is easily accessible. Baggage allowance varies upon the level of equipment, etc. and can be calculated for each individual aircraft using the formulas in Flight manual and Maintenance manual, Section Weight and Balance. 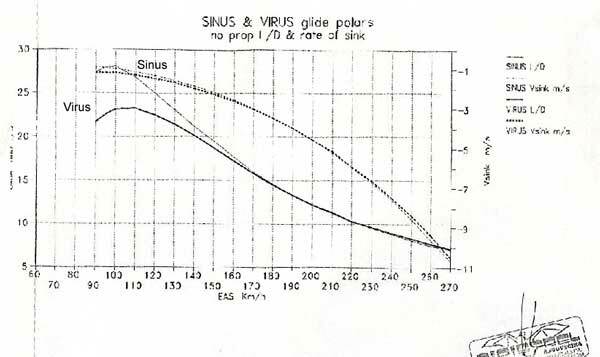 However, typical values for the Sinus 912 are 60 lbs for aircraft without the rescue system and 29 lbs when the rescue system is installed on board. Is there a side luggage access door? The side luggage access door is available as an option and provides easy and direct access to the luggage area from the outside. It features a lock so all your items inside will be safe. For much larger objects, the access to the luggage compartment is through the cabin – the seats fold in seconds and this provides a large opening and additional access to the luggage compartment. Can you fly without the door for aerial photography? Yes. You can remove one door completely, whereas the other door must be in place, closed and locked. With this configuration there are no extra airspeed restrictions, however the maximum recommended airspeed is 108 kts. Removing the door is a simple and quick procedure and only requires two safety pins to be removed. Time needed to dismount the wings? The wings are easily assembled and dismounted, should this be required. All control connections are self-fitting, so you only need to connect the fuel lines and strobe connectors, which take only seconds. All together it never takes more than 15 minutes, with experience even 5 minutes will be enough! Can I do aerobatics, spins in the Sinus 912? 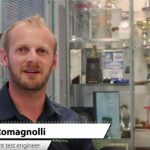 The design basis of the Sinus 912 follow the strictest EASA CS-22, CS-VLA and LTF-UL (sections) certification standards, as well as their FAA FAR counterparts. 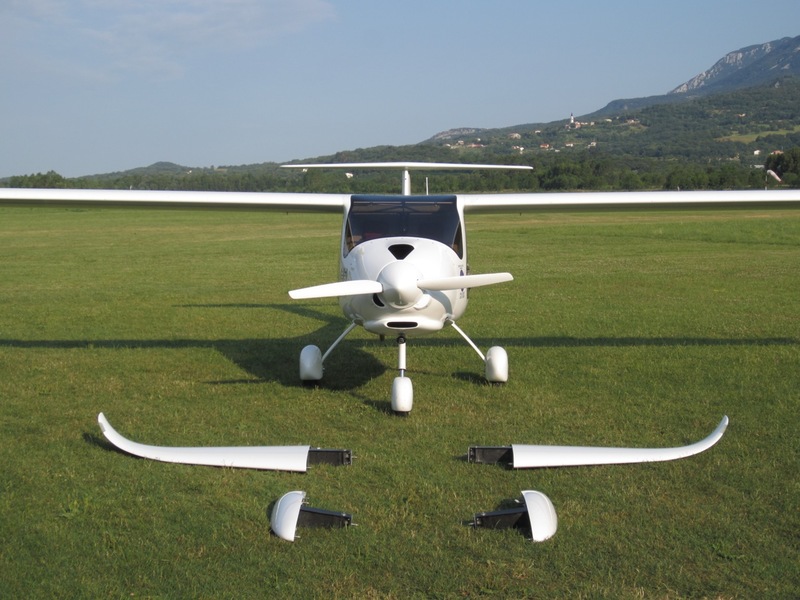 The Sinus 912 is a high-performance airplane and not suitable for aerobatics, despite the +4 G, -2 G allowable loads. 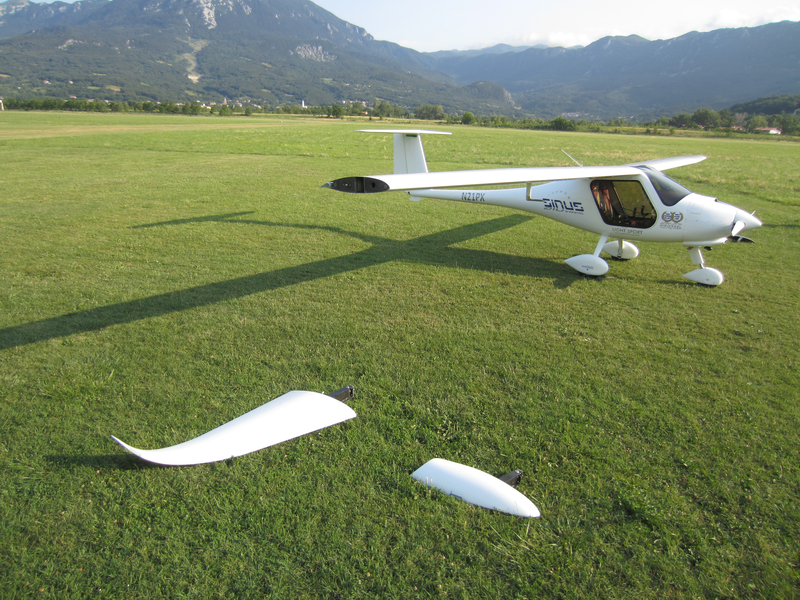 Pipistrel cannot prevent people doing aerobatic maneuvers in the aircraft, but we do not approve it – the reason is in aerodynamics. The Sinus 912 has so little drag that it picks up speed MUCH quicker than other aircraft. This can be dangerous in aerobatic maneuvers (also spins, which are completely recoverable) and an average pilot can very quickly overstress the airframe because of airspeed. The aircraft can reach 145 kts in a dive in a matter of seconds! But flown correctly it is a very safe and forgiving aircraft. The paint used is a special acrylic based pigment, which is applied during the molding process. 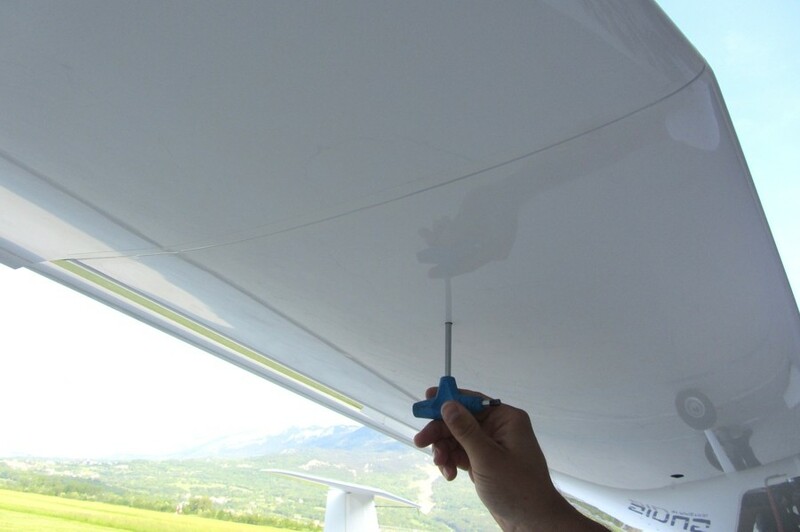 Pipistrel aeroplanes are not after-painted like most other aeroplanes – instead, paint is applied onto/into the structure while molding. This makes the paint much more durable and resistant to UV light and environmental contaminants. Recommendations for care and cleaning of the aircraft can be found in the Flight manual and Maintenance manual, section Handling and Maintenance, chapter Keeping your aircraft in perfect shape. Is the leather upholstery offered as optional equipment true leather? What colours are available? Yes, we use 100% genuine NAPA leather with Bovine texture in a wide choice of colors. The customer can choose the color of the seats and surrounding upholstery (side carpets, firewall, instrument panel pockets etc) separately. Up to two different colors per aircraft can be selected, for example: Red seats with Vanilla interior. Whilst we always try to keep these documents up-to-date please check with the manufacturers website for the most recent legal version of the manuals.